Home/News/Road Races/3M Race Week is Here. AUSTIN, Texas, January 15, 2018 — High Five Events, one of the largest privately owned event production companies in the United States, is making final preparations for the 24th annual 3M Half Marathon on January 21st. 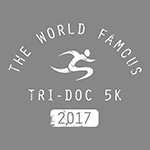 With registration numbers nearing 7000 participants, this field is expected to be the largest in the race’s history. The race will begin at 7:30 a.m., feature a competitive elite field, benefit Girlstart, and highlight thousands of runners racing for their half marathon PR.